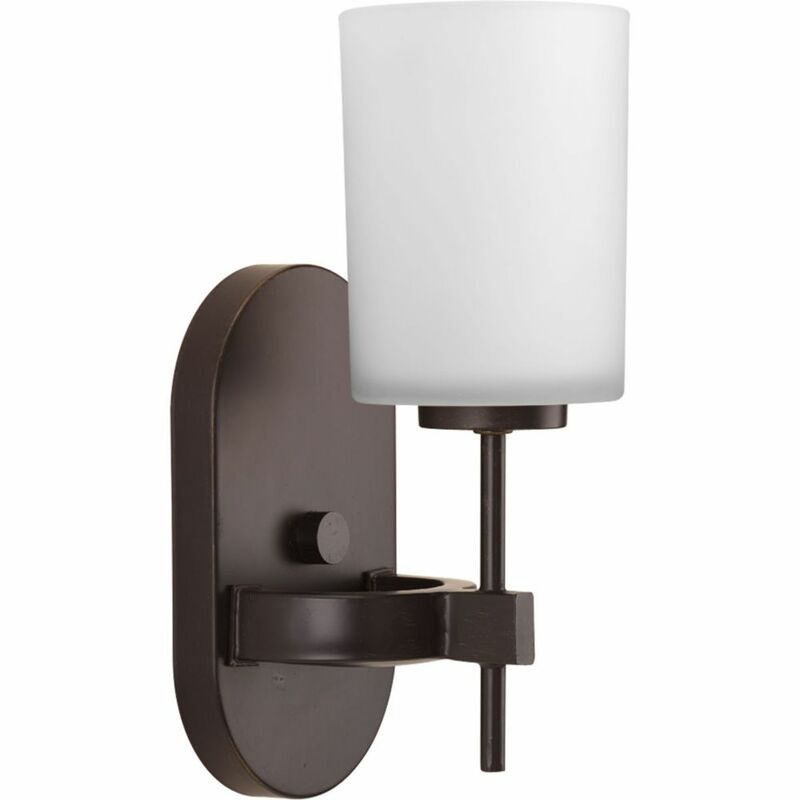 Decorative wall lighting to complement most traditional bathrooms or powder rooms. Antiqued metallic finish coordinates with popular faucet and bath hardware styles. The Cantata Collection is a sophisticated and modern style with a sense of traditional craftsmanship. An airy frame supports light topaz glass shades complemented by a rich, hand painted bronze finish. Classic metallic fixture paired with sparkling clear prismatic glass. Timeless in its vintage appeal, this light is stylish for both new and restored homes. Compass Collection 1-Light Antique Bronze Wall Bracket Find your frame of reference with the Compass collection. Distinguished by crisp, linear elements that both contrast and cradle opal glass shades for pleasing illumination. Whether your style is modern or you simply prefer a style that is elegantly simple, Compass provides a sophisticated accent to your home's decor.